Signs That Confirm, You Need an Arborist & Not a Landscaper! 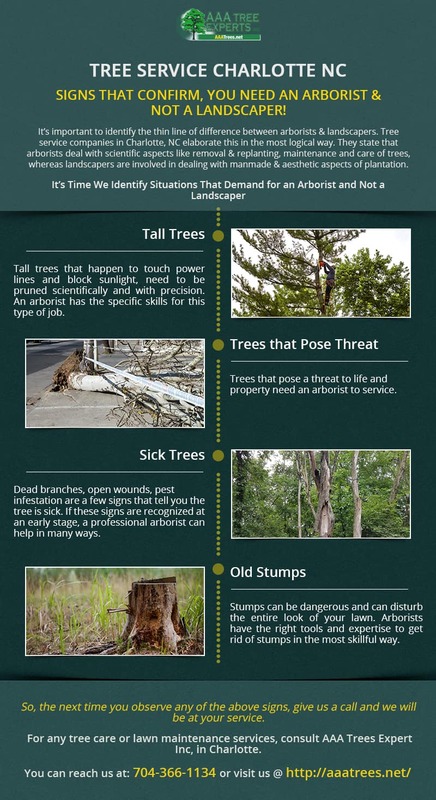 Home » Helpfull Tips » Signs That Confirm, You Need an Arborist & Not a Landscaper! It’s important to identify the thin line of difference between arborists & landscapers. Tree service companies in Charlotte, NC elaborate this in the most logical way. They state that arborists deal with scientific aspects like removal & replanting, maintenance, and care of trees, whereas landscapers are involved in dealing with manmade & aesthetic aspects of a plantation.